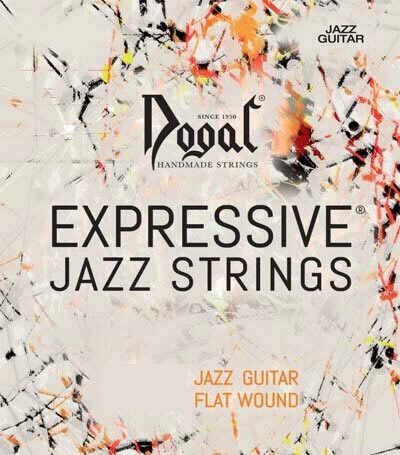 The Expressive Jazz electric guitar strings from Dogal have a warm tone that's more lively than you typically get from flat wound strings. Dogal makes them from a carbonsteel alloy that's wound on a round core. The string ends are wound with cotton to avoid buzzing.